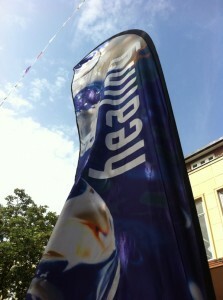 Healing on the Streets in Southsea, Portsmouth. We believe that Jesus heals today, just as he did two thousand years ago – a statement that is confirmed by the physical and emotional healings that we have seen on the streets of Southsea. We have already seen people come for prayer in pain and leave pain free. One person recently who had restricted movement in one knee said he felt heat as we were praying and was able the bend his knee freely without any restriction afterwards. Several people reported a real sense of peace as they received prayer, whilst say they have experienced Jesus for themselves for the first time. You can experience prayer for healing on the streets in Southsea from 11am-1pm in the Palmerston Road Precinct, Southsea usually on the third Saturday of every month. DATES: Sat 20 October – 11am-1pm; prayer before in the tent inside St Jude’s Church from 10am.